This is a temple located in Karelibaug Area of Vadodara (Baroda) City. The Temple was built in Year 1842. The temple also consists of Well and a DharmShala. During the reign of Sayajirao I, in Year 1880, huge work of temple was done. 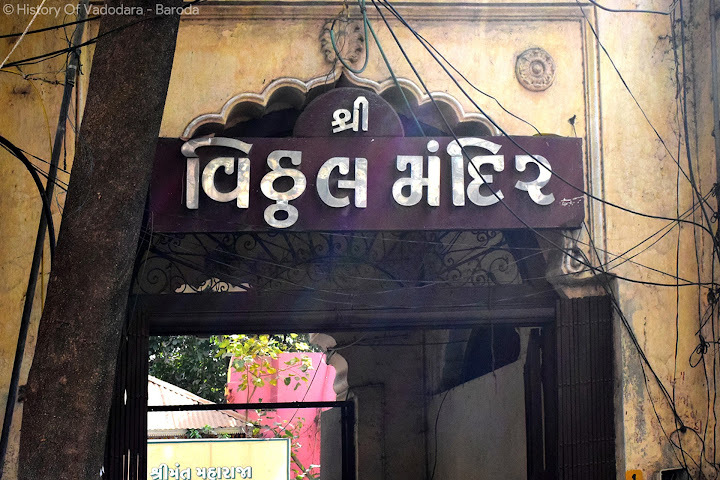 After Gaekwad started ruling, this temple was also known to others. During Year 1850 to 1856, the Pooja-Aarti of Bechraji Mata was done in RajMahal (Lukshmi Villas Palace). Festivals like Holi, Navratri, Dussehra, Diwali were celebrated in this Temple. The temple consists of many small dera’s of many other Gods. When the temple was being build, vadodara was not so developed. The temple is built with bricks, stones and woods.